This length refers to the internuclear separation between the atoms in the element. Most data are abstracted from reference 1 but some missing values are taken from the primary literature. Lengths do depend upon the allotrope, or form of the element, to some extent. Thus, the C-C length in graphite is 142.6 pm whereas the C-C length in diamond is 154.1 pm. While values are given for the Group 18 gases, these are separations, not bond lengths. Image showing periodicity of the chemical elements for bond length in element in a periodic table cityscape style. 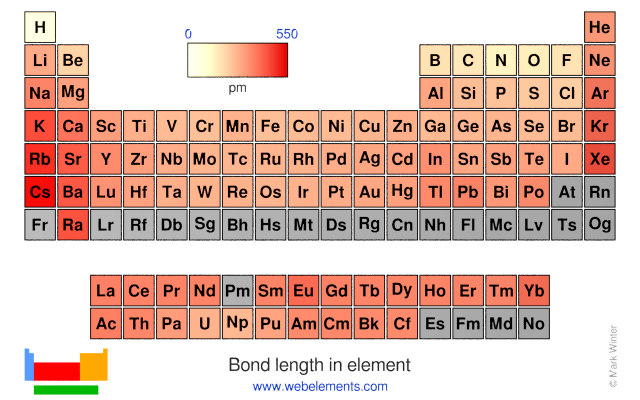 Image showing periodicity of the chemical elements for bond length in element in a periodic table heatscape style. 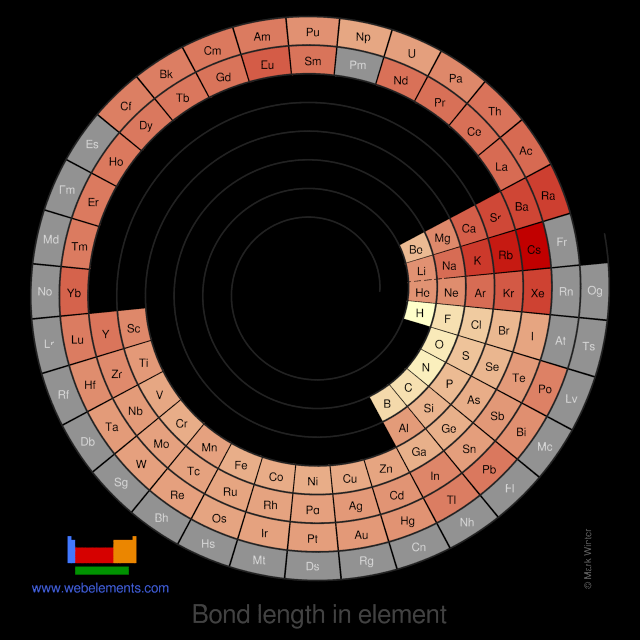 Image showing periodicity of the chemical elements for bond length in element in a spiral periodic table heatscape style. 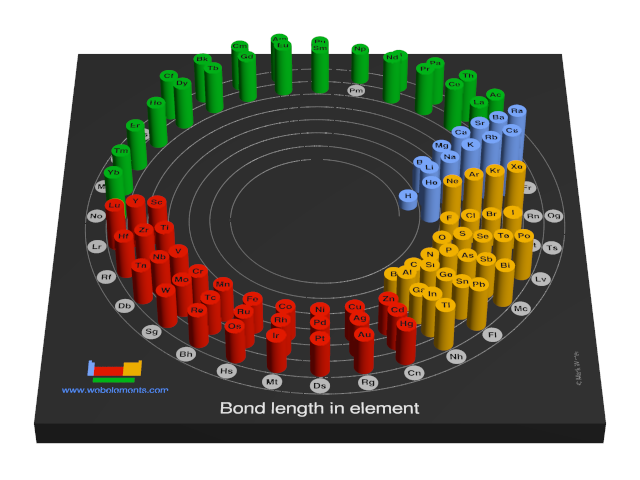 Image showing periodicity of the chemical elements for bond length in element in a 3D spiral periodic table column style. 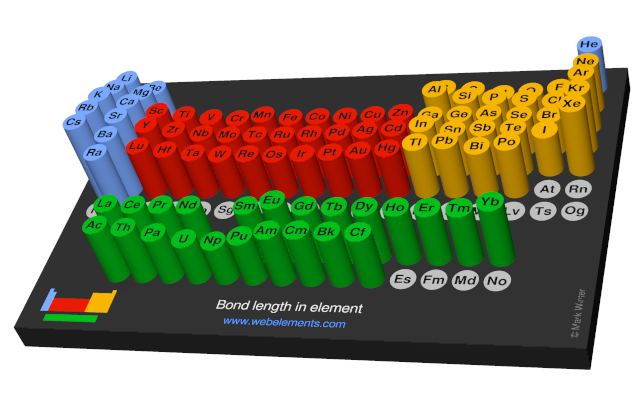 Image showing periodicity of the chemical elements for bond length in element in a 3D periodic table column style. To convert from pm (picometres) to Å (Ångstroms), divide by 100.